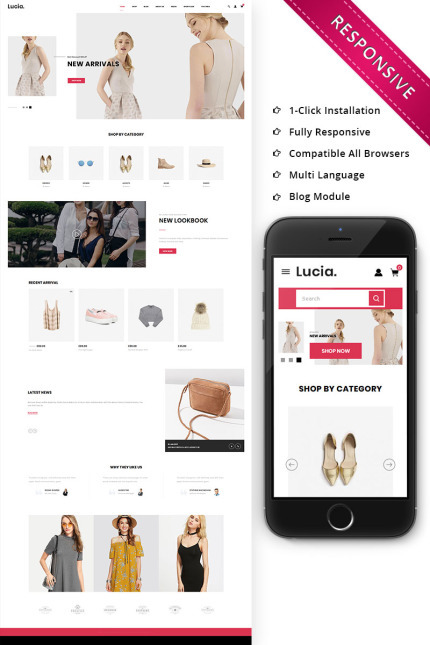 Lucia Fashion Woocommerce Template is responsive template is specially developed for fashion, accessories, food, apparel, clothes, electronics, computers, furniture, jewelry, tools, medicine, mega, minimal and multipurpose stores. The template has various colors combination and clean Fluid layout. It is fit into any devices and it's compatible with all browsers as it is 100% responsive.